Things are going wonderfully & I'm so grateful for the role you & your site has played. I've been on your site for almost 4 years & have met so many wonderful people through it. 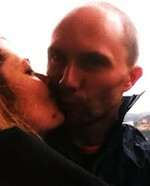 Each relationship has taught me a little more about myself & provided the opportunity to grow ready for conscious love. Having found my beloved I've recaptured the joy and carefree essence I held as a child which went a little dormant throughout my adult years. Interestingly, just before meeting on your site we both made a major career change to follow our authentic callings. Perhaps Howard Thurman was spot on when he said, "There are two questions that we have to ask ourselves. The first is ‘Where am I going?’ and the second is ‘Who will go with me?’ If you ever get these questions in the wrong order, you are in trouble."